Oh, the K-Stew/R-Patz saga could all have been so different. Turns out that all our lives could well have been VERY different, because Jennifer Lawrence was this close to being cast in the major role of Bella Swan in Twilight. As we all know, the part ended up going to Kristen Stewart, but just THINK of all the differences there could have been, had our favorite funny girl got the job. That sullen look Bella became famous for, thanks to Kristen Stewart's often less-than-upbeat looking face? It might never have existed. 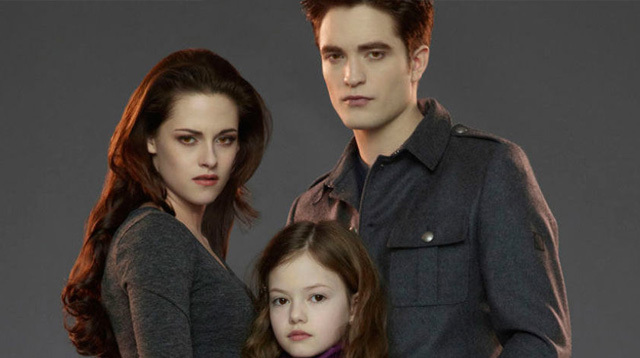 Bella could have been well-known for being "the chirpy one" in the Twilight series, for all we know. And let's not even THINK about the impact it might have had on their personal lives. Gone would have been the relationship between Jennifer and Nicholas Hoult, as she instead might have dated another young British actor, Robert Pattinson. R-Patz himself might not have had to go through the breakup trauma when Kristen Stewart later cheated on him with director Rupert Sanders. And he might never have ended up in a happy relationship with FKA Twigs. "I remember when the first movie came out, seeing Kristen Stewart on the red carpet and getting papped wherever she went. "I'd had no idea Twilight would be such a big deal. For me, and assuming for her, it was just another audition. Then it turned into this whole other thing." But then she starred in The Hunger Games, X-Men, Silver Linings Playbook, and loads of other great films. And then she became best friends with the equally funny Amy Schumer. So really, all is well. This story originally appeared on Cosmopolitan.co.uk. Minor edits have been made by the Cosmo.ph editors.